Live differently in this exceptional three bedroom home, plot 512 at Chacefield Loan. We've just released our final phase of homes at Chacefield Loan! Don't miss out! Chacefield Loan offers a range of 2 and 3 bedroom new homes for sale in Falkirk. Each features bi-fold doors, exclusive kitchen designs, integrated appliances, Hive smart energy and much more included in the price. Simply, more home to begin with. If you've always promised yourself a new home that's a little bit special, then we recommend you visit us at Chacefield Loan. This popular development offers an exclusive selection of brand new house for sale in Falkirk, all built with our superb new specification throughout. Denny benefits from a multi-million pound regeneration programme and is fast becoming a smart and sought-after location for local buyers and those looking for genuine rural tranquility in the heart of Scotland. Surrounded by countryside and with stunning river walks, Chacefield Loan offers families, professionals and downsizers a peaceful home in which to relax and enjoy some of Scotland's prettiest scenery. Chacefield Loan is far from remote. It is perfectly placed for travelling east or west, being only 30 minutes' drive from Glasgow or Edinburgh. Falkirk is just 7 miles away and it's here that you can find all the main High Street stores and shopping centres. Historic Stirling is also nearby; just 20 minutes away. 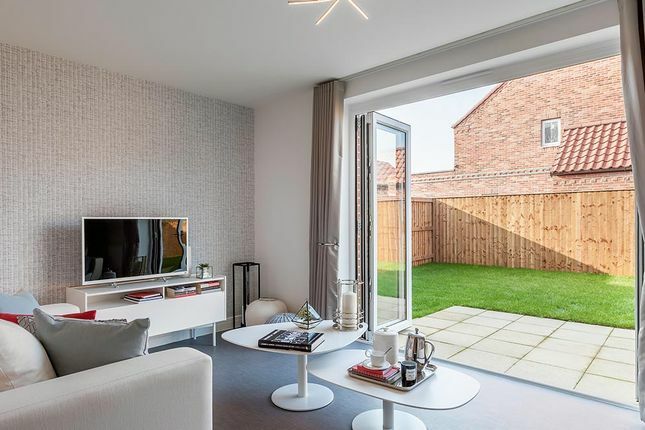 Commuters will find Chacefield Loan is a great place to escape the everyday hustle and bustle and families will appreciate the choice of local schools; there are three primary schools within 1 mile of the development and a choice of secondary schools and colleges within easy reach. Property descriptions and related information displayed on this page, with the exclusion of Running Costs data, are marketing materials provided by Avant Homes Scotland - Chacefield Loan, and do not constitute property particulars. Please contact Avant Homes Scotland - Chacefield Loan for full details and further information. The Running Costs data displayed on this page are provided by SmartNewHomes to give an indication of potential running costs based on various data sources. SmartNewHomes does not warrant or accept any responsibility for the accuracy or completeness of the property descriptions, related information or Running Costs data provided here.